Whether you are looking for Lobsters, or Salmon for the grill, Haddock or Cod for the Fish Fry, or Jumbo Shrimp & Scallops for that special get-together, we have what you are looking for ... at prices that you can smile at that won’t break your budget. 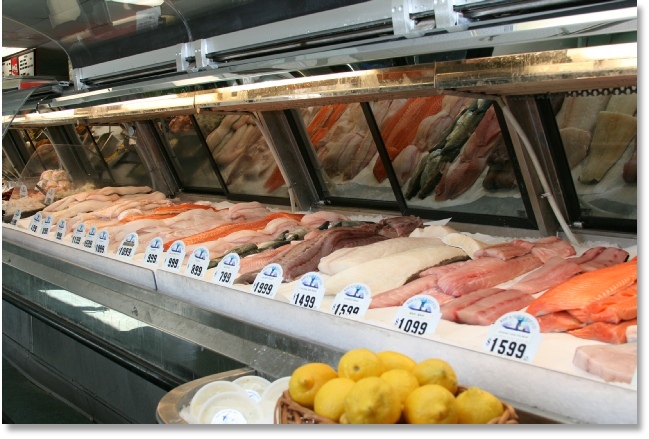 Come on in and see why people from all around Worcester County shop with us for their Seafood. And find out why other restaurants get their Seafood from us! If you are searching for the freshest Seafood, look no further than our own Market Place. Here you will find only the freshest fare, restocked daily with this morning’s catch. Kept on ice until you come in and pick it out right from our stocked glass display cases.